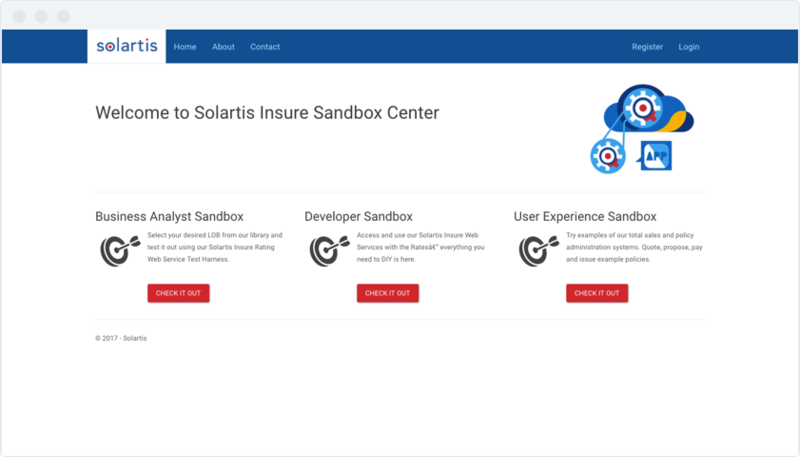 The Solartis Self-service Toolkit is an easy-to-understand browser application that empowers insurance product managers, business analysts, actuarial and regulatory staff to make changes to their products. The Toolkit contains a complete library of ISO Electronic Rating Content (ERC) Line of Business versions plus a broader non-ERC library at your disposal. Select a base LOB version, add carrier rate and rule exceptions, then test and deploy your product. Even non-technical users can easily add new coverages, limits, deductibles, rates, forms, and more. Nontechnical users can easily manage changes to the Toolkit. Insurance managers, business analysts, and regulatory staff can quickly add new coverages, limits and deductibles, maintain rates, and add or remove coverages and forms. The Solartis Toolkit provides a library of ISO Electronic Rating Content base lines of business, so there is no need to reinvent the wheel. Simply add carrier rate and rule exceptions, add carrier forms, and then test and deploy products. The Solartis Toolkit was built by insurance industry experts with decades of experience. Our technology is built with true cloud services, and no legacy applications, future proofing your insurance company for years to come.